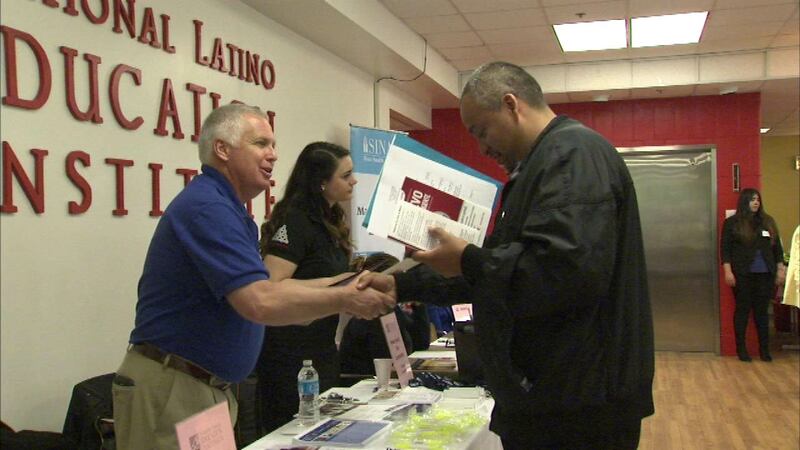 CHICAGO (WLS) -- Armed with stacks of resumes and ambition, career hunters networked with some big companies at the National Latino Education Institute career fair on the South Side. It was an opportunity for job seekers to make a positive first impression on prospective employers. ComEd, Brookfield Zoo and the CTA were just some of the companies taking resumes at the event.